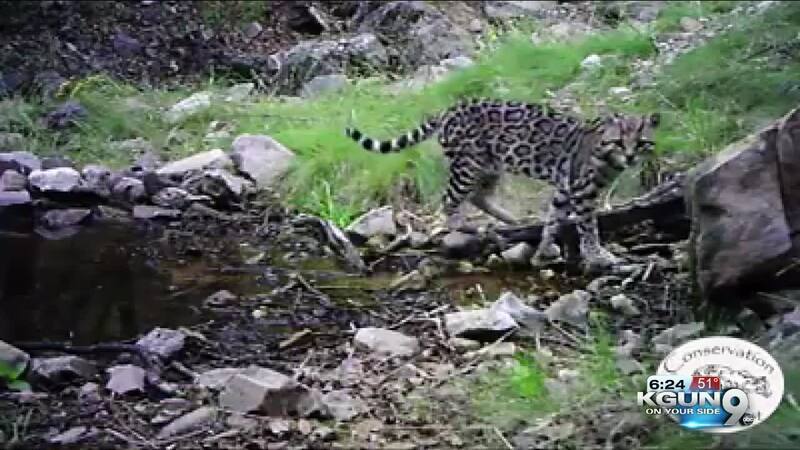 TUCSON, Ariz. - A conservation group captured rare video of an ocelot scampering through the Southern Arizona desert. 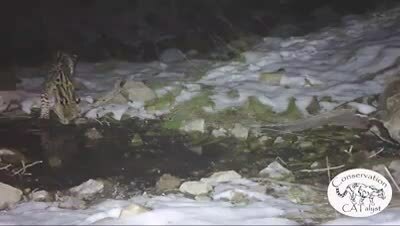 Conservation CATalyst released the video, claiming it's the first publicly released trail camera video of an ocelot in Arizona. Dubbed Lil Jefe, the cat has emerged in the region over the last five years. Ocelots have been spotted in Arizona for 200 years. SIx ocelots have been documented in Arizona over the last decade. They tend to frequent the Mexican border area. "These remarkable videos provide invaluable observations into the behaviors of the most mesmerizing and mysterious of all wild cats in America," said Dr. Aletris Neils, executive director of Conservation CATalyst, in a statement. "The ocelot’s spotted coat serves as camouflage, and each pattern is so unique they can be used to identify individuals, much like a fingerprint. We can tell all three video clips are from the same adult male ocelot; he is exquisite and is clearly thriving in the mountains of Arizona. ... Every new piece of information is vital for conserving northern ocelots and we are building upon these data to collectively make better decisions on how to manage these captivating and endangered cats."